Who Pays a Lien in Foreclosure? You probably already know that if you stop paying your primary mortgage and don't make special arrangements with your lender, such as a short sale agreement or forbearance, foreclosure is inevitable. What you may not realize, however, is that your primary mortgage lender isn't the only creditor with the right to seize your home. If you stop making payments on your second mortgage, the second mortgage lender also can force your home into foreclosure. A second mortgage is any loan or line of credit you acquire that is based on your home's equity. Like your first mortgage, your home serves as collateral for your second mortgage – making the mortgage a “secured” loan. That your second mortgage is secured by the property is what gives the second mortgage lender the legal right to seize your home in lieu of payment – even if your payments are current on your first mortgage. Whenever a creditor accepts your home as collateral for a debt, it files a lien against your property title. This lien gives the creditor the ability to foreclose on your home. Whenever a lien holder forecloses, the foreclosure itself clears away any liens that were filed after the foreclosing creditor's lien. Any liens filed before the foreclosing creditor's lien, however, remain attached to the property. Because the primary mortgage holder filed its lien before the second mortgage lender, the primary mortgage lien remains attached to the property title after the second mortgage lender forecloses. Liens must be paid in proper order. When the second mortgage lender sells the home at a foreclosure auction, it must apply the sale proceeds to the primary mortgage lender's lien before it can direct the proceeds to its own debt. The holder of the second lien has no guarantee that the home will sell for enough money to pay off either lien. Thus, foreclosing on a home is a considerable financial risk for the second mortgage holder. The less equity there is in the home, the less likely it is that the property will sell for enough money to pay off the first mortgage and all or part of the second mortgage. What Debt Am I Responsible for After a Foreclosure? Is a Judgment Creditor a Secured Creditor? Can a Creditor Take My Home With a Judgment? If the foreclosure auction doesn't bring in enough money to pay off the second mortgage holder's lien, the lien is extinguished – even though the second mortgage holder is the one that initiated the foreclosure. 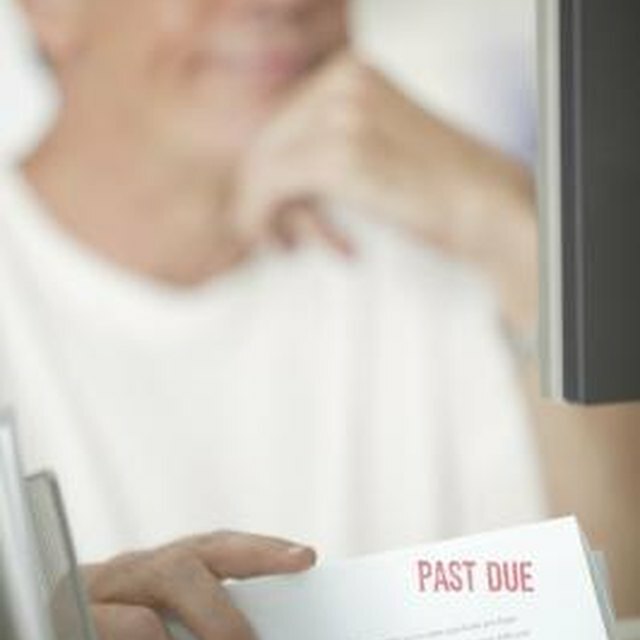 Just because the lien is extinguished, however, that doesn't mean that you aren't still liable for the debt. After foreclosure, a former lien holder can bring a lawsuit against you for the unpaid lien and obtain a court judgment. State laws regarding judgment collection vary, but in most states a judgment holder can garnish your pay, levy your bank accounts and, in some cases, seize your personal property. NOLO: What Happens to Liens and Second Mortgages in Foreclosure?